AI will probably be more integrated into our lives than we expect. Imagine you live to be one hundred years old, only to discover that several generations of experts surreptitiously recorded your entire life, from golden childhood, to the perpetual mistakes and hubris of adolescence, love lost (or found), to and through your entire career. Every thought, every transaction, every road trip or argument, forgotten favors — thousands of coincidences are suddenly linked, and every déjà vu and unconscious butterfly effect transforms into a meticulously recorded causal chain. It’s your entire existence, as far as any human ever knew it, felt it — forgot it. Much like the life of a human intelligence, such a megalithic report would be insufficient without consulting multiple viewpoints. For AI, these take the form of four major audiences: For the general public, the report provides “an accessible, scientifically and technologically accurate portrayal” of the present status of AI and its future potential. For the industrial complex, the report describes technologies currently under development and engages with legal and ethical questions, an informed understanding of which will help soothe anxieties and direct the allocation of resources. OHYSAI will also help guide the efforts of local, national, and international governments. The report will also help AI researchers, along with their funders and scientific institutions, set priorities. The report will provide insight that will help researchers tackle the legal and ethical issues surrounding AI. It’s only been three years since the report began, and so far we don’t have a clear idea of its actual benefits to AI development. 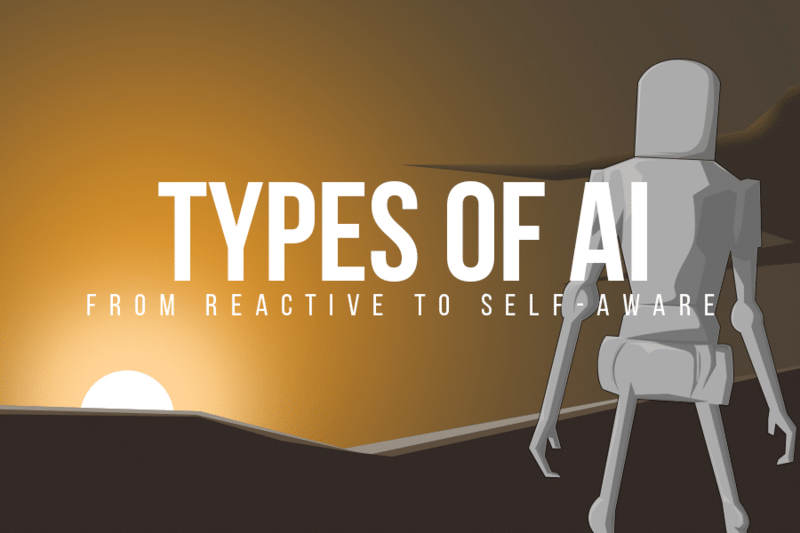 However, looking at the report, and considering the current advancements in AI and autonomous technologies, we can arrive at a hypothetical future for AI. Let’s pretend it’s 2030, a scifi-sounding year that is somehow only the lifespan of a preteen away. We’ve already seen transportation become a domain which asks the general public to trust the safety and reliability of AI for critical tasks. By 2030, the advent of self-driving cars will extend applications learned today beyond cars and trucks, to include flying vehicles and personal robots, which will likely see a rise in social, ethical, and policy issues. Without personal user data, connectivity, applications like real-time sensing and traffic prediction, route calculations, peer-to-peer ridesharing, and self-driving cars would be impossible. Giving up security and privacy, in this case, translates into physical liberty at the very least. We recently learned from a report that self-driving cars will probably be widely adopted by 2021, and in the years leading up to 2030, self-driving and remotely-controlled delivery vehicles and flying vehicles will make their debut. There will also probably be a wider proliferation of drones, which could be good or bad depending on the intentions of their user(s). With a broad acceptance of self-driving cars, commuters in the U.S. will have more time to work and entertain themselves en route, and this decreased cognitive load may affect how, and even where, people choose to live and work. Think about the mobility and workforce of a disabled or elderly person who doesn’t need to hitch a ride with friends or family. Human errors made behind the wheel contribute to one of the biggest sources of accidents that cause death and injury in the United States. When self-driving cars become the norm, there will be fewer accidents and longer life expectancies. This will, of course, lead to possible ethical quandaries being worked out by an AI instead of a person — what’s the right move to make when a deer decides to cross a busy highway, for example? Humans will provide different answers depending on the circumstances; how would an AI decide? Although we often see drastically different vehicle designs in sci-fi, it’s unlikely these stylish dreams will transform what vehicles look like or how they drive by 2030. While the OHYSAI report’s study panel doesn’t expect drones with the ability to fly, swim, and drive to see common use by 2030, they do expect we’ll be partners with our self-driving cars and drones in terms of operating them. Flying quadcopter transit is also probably a more distant dream. The above technologies will need us to get more acquainted with them, via models and algorithms that more accurately and reliably model human behavior. Learning to coordinate AI learning with the intricacies of human idiosyncrasies and motion is crucial. Over the next fifteen years, advances in AI and mechanical technologies will result in a safer and more reliable line of home-dwelling robots. Potential applications include package delivery, cleaning, and security. With access to cloud-based networks, they might spend days entertaining us. However, the development of highly reliable (and likely high-maintenance) service robots will slow a full roll-out of robot companions. Cooperative AI learning from cloud-shared data will enhance machine learning. For example, NASA is developing a cloud-based AI, called AUDREY, a self-learning AI designed to help emergency service providers. Robot arms are being used in research labs globally. We’ve already welcomed robots into our homes in the form of Roombas: 16 million of them are helping us keep our floors clean. In the future, advances in technology may allow us to more fully interact with robot companions. Precision, entertainment, efficiency, reliability, collaboration, and increased human mobility are only a few societal changes we’ll see as AI grows in complexity, sophistication, and, well — intelligence. The full report is well worth a read. One thing is clear: AI is going to become a fully-integrated part of our society, and we must prepare to adapt as necessary.